Could the Rumored 6D Become Canon's Cheapest Full Frame DSLR? 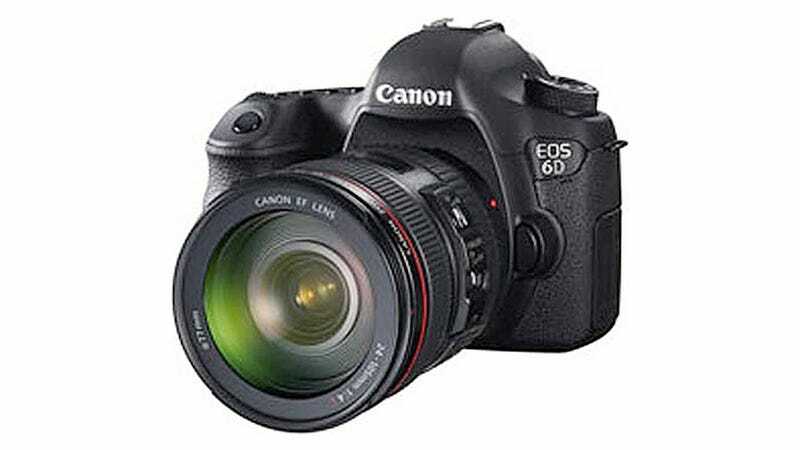 DigicamInfo says this is the Canon 6D. And if the specs the site obtained are correct, it will be a full frame beast of a camera, but with a price tag that makes it a bit more attainable for mere mortals. The rumored DSLR is believed to have a 20.2-megapixel sensor, DIGIC 5+ CPU, auto ISO range of 100-25600 (max 50-102400), 11-point autofocus, GPS, wi-fi, and a 3-inch LCD in a body the size of an APS-C equipped camera. Whoa.